The perfect introduction to basic chess tactics for children ages 7-13. Full of imaginative drawings, this fun and instructive workbook combines standard chess problems with a variety of insightful chess-related puzzles. The main part of the book consists of exercise sheets with more than 1000 positions, covering mates in one or two moves, and simple tactics such as forks, pins and discovered checks. 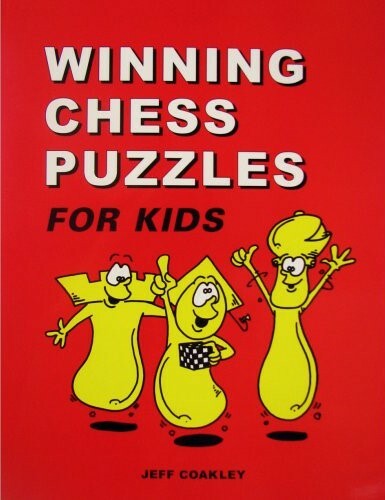 There are also over 100 pages of additional material with names like Lily's Puzzlers, Combo Mombo, Kiril's Kontest, Who's the Goof and Switcheroos, as well as word searches and chess mazes.